BioBubble Deco Cube Habitat 1 pack 0.5 gallons White 5.5" x 5.5" x 6",Half-Gallon cubes, perfect for betas and miniature planted terrariums. 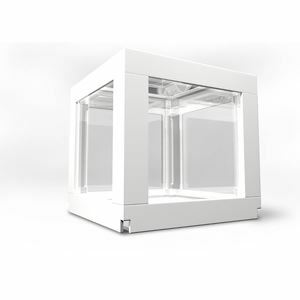 BioBubble Deco Cube Habitat 1 pack 0.5 gallons White 5.5" x 5.5" x 6"
Half-Gallon cubes, perfect for betas and miniature planted terrariums. Dimensions: 5.5" x 5.5" x 6"